Are Families Feeling The Pinch? 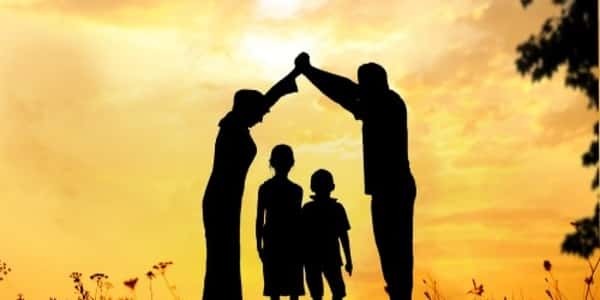 New data issued by financial services firm, L&G, shows that although parents are still contributing significantly to help their children get on the property ladder, there has been a sharp downturn in that generosity over the past twelve months. According to the figures, the average parental contribution for home buyers is down 17% from a year ago, from £21,600 to £18,000, with analysts believing many families are “feeling the pinch”. However, more than a quarter of first time buyers still expect to receive financial help from friends or family, a figure that rose slightly (2%), from 25% to 27%, with the so-called ‘Bank of Mum and Dad’ remaining a significant influencer in future lending strategy for banks and building societies. Here at The Financial Planning Group we can advise families on their options in these circumstances – including Family Springboard mortgages and Joint Borrower Sole Proprietor (JBSP) mortgages. Springboard Mortgages allow a borrower to take out a 100% mortgage, up to the value of £500,000, as long as the ‘family member or loved one’ places a 10% deposit with the lender. Although this is no magic wand solution, and the first time buyer would need to be earning well above the average wage, but the need for a big deposit would at least be negated thanks to a family member’s secured generosity. Until recently, providers of Joint Borrower Sole Proprietor (JBSP) mortgages were few and far between, but a spike in demand has seen an increasing number of lenders come online with such products, and in doing so, allowing parents the solution they have been looking for. This route is by no means a one cap fits all remedy though, and requires a high earner to be party to the mortgage, so excludes retirees. It should also be noted that a parent would not become an owner of the property – only the children’s name would appear on the title deeds of the property. Adaptation, and keeping abreast of trends, is where specialist mortgage advisers come into their own – the ability to access lenders from across the whole mortgage industry is key to offering the best advice, rather than being restricted to a narrow band of lenders. Here at The Financial Planning Group, we pride ourselves on being to offer our clients mortgage products from the whole market, which opens up so many more options and offers – we have 25 years’ experience in helping families find the perfect low-rate deals and ensuring that the financial side of moving home is as stress free as possible.